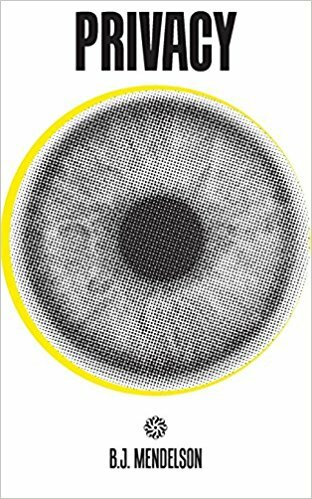 A recent book I read, Privacy: And How to Get it Back, from a recent podcast guest, BJ Mendelson, really got me thinking about a big topic right now in society; digital privacy. The big takeaway for me from Privacy was that it isn't so much that the tools themselves are inherently bad, it's how the companies who made them use them and sell our data as well as what individuals put on these platforms without knowing what is done with this information. I think BJ's book serves as a great counterpoint to my other book review, Winning with Data. There are ways to responsibly use data to make life better for people, but profiting off of social media posts and this community that exists on your platforms isn't really doing many people much good. And there are other models that could be made to allow these companies to make money without selling your data, or at least compensate you for your valuable data (which BJ recommends). We create many of our own problems in the world, but we can also create solutions as well. These amazing tools we've made need to used responsibly by all involved. Many of these digital companies (whether they be Amazon, Facebook, Google, etc.) have a duty to do right by us, their users. But often they're working within the lax regulations put upon them. If we put proper rules in place, then they will work within them, as we're seeing with the GDPR rollout. I think digital privacy is a right, and these companies shouldn't be obfuscating the way to control how our data is shared. I'm hopeful that as these digital tools as becoming more ubiquitous, we will update our laws and make sure to keep these companies that make them in check. It is also on the individual to feel empowered and informed to manage their data in whatever ways they feel most comfortable with. Maybe that means being more conservative, or it means sharing it widely, or only with certain platforms. Also, in my world, as higher ed becomes more digitized as well, we need to more conscious of how we're securing this information, which at times can be very sensitive. I hope this gets you thinking like it did for me. It's something we can take for granted but the right to privacy is fundamental. We just need to learn how to navigate this issue in the digital space, but I'm confident we all can. * This post was originally featured on The OOHLALA Blog. I recently took a course on positive psychology, (shout out to my professor, Dr. Colleen Georges!). The focus of positive psychology is on being happy. I’ve found that utilizing the principles of this psychology has helped me to be a more optimistic, empathetic, and grateful person in my daily life. Positive psychology is great for improving one’s personal life but it’s also a useful application as a student affairs professional. Using the insights of this psychology you can provide students with support and help them succeed in their endeavors. This psychology is apt for in-person interactions, however as many students spend most of their time online I’m going to talk about how to use positive psychology when engaging with students through social media. I enjoy helping to celebrate when my students share an academic or personal success. (Such as getting an internship or membership to a fraternity or sorority). A simple “like” or retweet shows that you’ve taken notice of that student’s post. It makes them feel valued and creates positive feelings. Pay particular attention to anything related to their college experience. This helps support the value of what they’re choosing to get involved in.This can also be applied to small, simple moments your students share about the good things that happen in their day. The impact of showing that you see, hear, and celebrate the joy of your students is a great way to help spread positivity throughout your campus. Another simple way to spread positivity throughout your campus is to share brief notes with your students. If you know they have an interview or test coming up, send a quick digital message to wish them luck. You can also share quotes to help motivate and inspire your students. When students are busy and stressed with exams and finals, provide support by sharing helpful videos, articles, or photos to keep students energized. A great way to spread some good energy online is to listen and be helpful to students who have questions or concerns. You’ll surprise and delight your students when you jump in with some advice or resources to solve their problems. They’re often hoping for an solution to their problem but aren’t expecting it since a lot of the time no one responds. As a student affairs professional, you have the knowledge to get your students help. We do it all the time in person when students stop by our offices. Use that same mindset on social media and your students will feel supported. Even if they don’t need you all the time,they’ll know an answer is only a post away. If you commit to this digital effort, it will supplement your other work by spreading positive energy and support for your students. Employing positive psychology principles on social media is a direct connection to the work we do in person with students. We want them to feel valued, supported, and celebrated. This is just another way we can do that for our students every day. I finishing reading this book over weekend after it was sitting in my Amazon Wish List for the longest time. Likeable Social Media (I read the new, revised edition) is a book by Dave Kerpen, who works with Likeable Media and Likeable Local to help companies of all kinds maximize word-of-mouth marketing as well as inbound marketing via social media (as the title would imply). Kerpen covers an array of tips and stories on this broad topic, and the end result is a pretty easy read with some great actionable ideas. I read another one of Kerpen's books, Likeable Leadership, which was a collection of his personal and professional blog posts. I liked that book, which turned me onto this other work of his. Some of the stories are the same but their helpful impact was only furthered through their inclusion here where they are put into a more thoughtful context. The body of the book focuses on 18 tips to help utilize social media in a "likeable" fashion. Kerpen includes advice on how to use Facebook, Twitter, Instagram, YouTube, LinkedIn, and more. The advice can be summed up as being authentic, friendly, responsive, and relevant to your audience. Provide content they enjoy, can get value from, and want to share. This will help them have a positive impression of your business and want to be a paying customer. A lot of this stuff was familiar to me from the education I've gotten recently about inbound marketing from places like Hubspot. I'd recommend this book to anyone looking to brush up on some baseline tips for social media use. Whether you're a nonprofit, small business, or higher ed institution; you can find something useful here. While to me, it started to get redundant at the end, it served to further emphasize the solid points made earlier. Social media has become pretty ubiquitous in our lives now. News is made from it and spread through it. We reference it offhand in our conversations with each other, and we've developed new terms to describe it. While it may be still a bit foreign to some professionals at higher education institutions, it is commonplace for our students. When given the proper attention, social media can be an effective asset in our outreach to students. It also helps to build a feeling of community on campus. Whether you're an entry level academic advisor, hall director, or the president of an institution, you can be a powerful presence for students on social media. Your social media presence will help them feel heard, valued, and cared for. I personally have taken a few different stances that I hope help me connect better with my students. I make my Twitter publicly available, (it's even on my business cards). I accept requests from students on Facebook, LinkedIn, or Instagram. I don't seek them out, but if they connect with me first, I make sure to accept their invitation. Connecting with my students in this way helps me to celebrate their successes, build their network, and be more accessible to them should they need me. I've never had any issues with making myself more available rather than guarding myself behind virtual walls. No student has ever abused this. However, even if there was an instance where someone used my good will inappropriately, I'd still make myself available to all my other students who need me. I wouldn't want to let them down based on a single student who needs some educational conversations about their behavior. Another stance I take that many professionals hopefully take as well, is that I don't have a "personal" account and a "professional" account. I just have my one Facebook, Twitter, LinkedIn, Instagram, etc. I really don't believe anyone should have separate accounts for stuff like that unless someone has a brand they're trying to build that they want to be separate from themselves. I don't have strict standards about what people should or shouldn't do on their social media channels. Students just need to be comfortable with employers, friends, and family seeing whatever they post. While someone can try to ignore social media, it is an omnipresent, constant, global influence in our lives. It is something that I view as an asset and resource. I embrace and love social media for the connections and learning that can happen through it. By maximizing the potential of social media for sharing your story, (or your institution's), you will see success in your personal and professional efforts. *This post is edited from the original, which was featured on Socialnomics. I can personally say the way I consume media has drastically changed. I watch TV on Netflix or Hulu and don’t have cable. I enjoy original shows, clips, and programs on YouTube, listen to music on Spotify or Songza as well as one of the most unique new forms of entertainment; podcasts. The podcasts I enjoy are simply digital copies of audio/radio broadcasts and interviews. My constant favorite for the past few years is the Nerdist Podcast which is great for entertainment purposes as well as stuff like the Smart People Podcast, Reply All, or Nerdette, which all have some great thought provoking content. What I think is the distinguishing feature of podcasts is how I am able to consume them. I can download them onto my smartphone, listen to them in the car or on the go with headphones while I work out for example. It’s awesome, original content coming out all year that is experiencing a boom recently, which in turn is a great opportunity for advertisers to create a unique relationship with their audience. 67% of podcast listeners don’t mind sponsorship messages and occasionally find them useful, compared to only 6% positive sentiment expressed for the advertising approaches of television or commercial radio. Nearly 80% of podcast consumers (responding to the survey), agreed that “when price and quality is equal,” they “prefer to buy products from companies that advertise on or sponsor” the podcasts they regularly enjoy. Although I’m mostly highlighting podcasts here, it is clear that with this being a huge "new media" format, other mediums like music streaming sites and video streaming sites cater to the same sensibilities. We don’t want to be fed phony ads any longer. If I’m looking to buy a camera, I’m going to ask my friend who knows about cameras or reference customer reviews at the very least. Consuming is social and the advent of on-demand entertainment is linked with that. Advertisers should take notice and start to take advantage of this new possibility to create a more authentic, genuine connection with their customers. Organic VS Promoted Content: Which Reigns Supreme? * This post is edited from the original, which was featured on Socialnomics. So I am personally all about all-natural, organic, and sustainable stuff. Whether it is the toothpaste I use, the food I eat, or how I buy pretty much anything in my life, having something feel real and not artificial is important to me. This combines with my respect for authenticity and transparency in relationships. My overall preference for the "real deal" even comes into social media with the curious question I’ve stumbled upon when it comes to social media marketing; should one pay to promote or not? Within the past year, both Facebook and Twitter launched the capacity for users to pay to promote their posts and tweets respectively. Facebook already had their “Ads” that would show up on the side of users’ timelines, but these two new functions put your promoted content right in the personal feeds of your customers. It comes, understandably, from the need to monetize these popular sites, but the real question comes in as to what is the best use of an organization’s money when it comes to engaging your audience; are you really getting what you pay for? Obviously, ideally your content will make it’s way out into the world on it’s own but usually, customers aren’t just following you, they’re following all sorts of different pages, even your competitors for business. So it seems logical, you want the edge so you pay for promotion and you squash out the competition. Right? Well, the jury is still out on that. Not to say that promoted posts are not useful, but they also aren’t shown to be the way to go for every business and for every post. Social media is about engagement, and using paid promotion for posts can come across as spammy and inauthentic. Facebook paid promotions can be useful to get the word out about a new offer you have for your business or for an upcoming event since they only go out to those who “like” your page, as opposed to Facebook ads that go out to anyone and everyone. The same goes for Twitter. Think about what you’re posting and what is worth it to pay to get out to everyone and sort of muscle your way into their feed. Another consideration to make is where you are putting this content. Are your customers even on Facebook or are they on Pinterest? Does your content make sense for the social media site you are promoting on? Facebook is different from Twitter which is different from LinkedIn which is different from Instagram (which also now supports ads). It is important to be intentional about the core what, where, when and why of posts in order to get the greatest results. From my perspective, the general logic here should focus on a few points: moderation (as with all things), organic engagement & paid promotion, and lastly, cater to the medium. For this last bit, whether that means you cover your basis on every social networking site or hone in on one, you can save a lot of money and time by knowing where your audience is and creating content for that particular venue. Doing all this will create an authentic aura that avoids the negative connotations of spam ads and allows for you to get the word out on all the great things your organization is up to. * This post was edited from one originally posted on The Student Affairs Hub. As the semester rolls on, I was thinking about how colleges and universities are a unique environment where there are a multitude of offices, departments, groups, and relationships that are hard to find elsewhere. These connections can last a lifetime and make a huge difference in a student's life. While some pathways like Greek organizations may be more common, there are plenty of other avenues to make connections on campus for your students that can be just as impactful, if not more so depending on what the student is interested in. I'd like to outline some of the ones I feel would be useful to professionals out there to recommend to their students or for students to take the initiative to do themselves. Meeting new people can be tough, but sites like meetup.com, Eventbrite, and/or the myriad of Facebook groups all help to organize hangouts all across the country based on common interests like hiking, gaming, reading, or any other plethora of hobbies. I've found them to be a great way to meet new people in my community that are into what I enjoy. For students, this could be helpful to find other like-minded individuals in their local area that lead to possible job or volunteer opportunities. At the very least, it is a social involvement that is bound to have local staff and faculty members (as well as alumni) present, which leads into my next points. The graduates of any institution end up all over the country and in all sorts of different industries. They owe a lot of their success to their time at their alma mater, and are proud of where they got their degree. I can speak for myself and say that this is all very true. I can't make myself physically available and present at my alma mater so I make sure to support them financially. The Alumni Relations offices at any institution are going to have hundreds if not thousands of local connections with passionate individuals looking to connect with current or prospective students. This is a ripe pathway to great mentoring relationships which can lead to any number of other opportunities. While a lot of powerful, high-impact learning happens outside the classroom, I'd be foolish if I didn't mention the importance strong relationships with faculty can play as well. Students (or at least most of them) go to college to get their degree. They do this by attending classes taught by faculty. Unfortunately, it seems nowadays the relationship in the classroom is purely transactional. Faculty are a wealth of knowledge and experience that can be transformative to a student. Their position grants them a lot of influence and power as well as access to a lot of resources and opportunities. Faculty can give students engaging experiential learning opportunities through research or a being a teaching assistant. At the very worst, faculty can serve as their own sort of mentors for the students who find themselves drawn to academia. I encourage you to think outside the box when looking to make connections with your community. There are some tried and true options out there but there are also so many more to choose from that may better fit your students' needs. In the end, it's these important connections we make for our students that help them stay and also help them succeed at college as well as beyond. As a frequent contributor to the #sabrews hashtag, it’s absolutely no secret that I can appreciate a good craft beer. “Small batch” brews? Love them. Enjoying a flight of Birmingham-made beers? Fantastic! Choosing a different beer to try during each of my grocery shopping trips is a highlight of my week, and visiting local breweries and hole-in-the-wall pubs with large taprooms are some of my favorite parts about traveling. While my friends complain about the long, drawn-out tours, I savor observing and learning about each step of the brewing process before tasting the final product. How does geeking out over beer relate to my work in higher education? For starters, my institution does send students to local breweries to learn more about the brewing process in addition to being immersed in the world of small businesses. Our students love working with Good People Brewing Co., and they get a lot out of the experience. It’s an internship opportunity for a certain type of skill set, and I am fortunate to have some great students to support our community as well as learn a great deal over the course of the term. But I’d argue that the connection between student affairs and craft beer is far stronger in my own journey as a new professional. Navigating the world of higher education can be daunting, especially for professionals who are just beginning their careers. How do we “break in” to national organizations? In what ways can we network with and learn from professionals and students from our own region? How can we get to know our great colleagues outside of student affairs, beneath the surface level? For me, craft beer has been the answer. A week before I left for New Orleans to attend the NASPA annual meeting this year, I reached out to my colleagues on Twitter to gauge interest in meeting up at a local tavern to try some Louisiana-made beers and swap favorite craft breweries. I never expected any sort of response, but almost immediately colleagues from all over the country jumped at the opportunity for the #sabrews crew to meet up and talk higher education over good beer. I made good on my tweet, and met up with some fantastic professionals to discuss our work and swap ideas on how to better impact areas such as advising and experiential learning. In one instance, I had the opportunity to finally meet with Sara Ackerson, a good friend from Twitter and fellow advisor. We frequently updated our Untappd accounts – an app dedicated to exploring the world of craft beer and sharing thoughts about different brews with the community. (In fact, I learned about the world of Untappd through a colleague from the #sabrews community!) We tried some great local brews in the Warehouse District while discussing different aspects of academic advising – in particular, triage and productivity. I came away from our time together with a lengthy to-do list of things that would benefit my office, including appointment calendars and referral sheets to make sure that students were aware of other experiential learning offices. Sara and I had a fantastic meeting, but I learned so much from my colleagues over the course of the conferences. Better yet, I further developed relationships with a network of great people, got to know them as individuals within and outside of the context of their work, and the entire experience made the conference feel more personal. Professional development opportunities like national conferences can be overwhelming, but through exploring a shared love for craft beer, I was able to find a niche within a crowd of over 7,500. Kimberly White is a 24-year old student affairs professional living in Birmingham, Alabama. She serves as the Internship Coordinator for the rise3 Initiative at Birmingham-Southern College, an experiential learning and critical reflection opportunity for students in the domains of faculty-student research, internships, and service-learning. She is also a BSC Campus Advisor to the Pi Beta Phi Fraternity for Women, Alabama Alpha chapter. Kimberly's blog can be found over at Leadership Development and Life in the Yellowhammer State or on Twitter at @whiteoi. Podcasting has been experiencing a renaissance recently. With the continued success of some foundational shows and the current breakaway success of some few shows, podcasting has become more mainstream in a big way. The quality is increasing, the topics or more nuanced and deep, and the audience is growing exponentially. I've been a fan of the medium for years now, and I'd like to share a few of the awesome new shows I've been listening to lately. I was recommended this show by the incomparable Tom Krieglstein and have enjoyed following along with the story. It is basically the journey of a guy (Alex Blumberg) following his heart, starting a business (podcast network in this case) and his trials and tribulations. He is authentic and reflective throughout the whole process. He makes some mistakes, fumbles a bit, but eventually reaches his goal. It is a great look into how a startup might come to be today, and has some great tips for those interested in doing the same. Even if you're not thinking about starting a business, the story is still entertaining to listen to, so I definitely encourage you to check it out. This is a relatively newer show compared to the others on this list. As the name might suggest, the show examines the invisible forces that influence our lives. While there have been only two formal episodes, you can find a guest episode on This American Life and the two episodes that have been released are fascinating. The premiere episodes was on thoughts, their power, and the history of our understanding of them. The most recent episode is about fear. I'm really intrigued to see where the show goes from here! I'm not sure how I originally stumbled across this show, but I'm glad I did. It's a NPR podcast out of Chicago that is a short snippet of interviews, nerdy Q&As, and their signature segment, nerd confessions from their audience. The confessions range from the humorous to the deeply emotional and are amazing since their listeners feel comfortable enough to share them out with the world on their show. If your into smart, nerdy things and good conversations, check this show out. It's light, engaging, and perfect for a listen on your commute or during your lunch break.